I bought a couple. They are cheap grow bags at $1 and can just as easily be planted upright! Planted in 4 of them last year (a gift, not something I would have purchased at any price because of the numerous negative comments I've heard from local growers...). They did great in Spring, soaking up the sun's heat on the south side of the house. But by late June then well into September, the vines did terribly. No amount of water could compensate for the many days of 100+ degree heat. The roots just cooked. A local novice commercial grower purchased and is using about 200 of these - blatantly contrary to my strenuous advice. They are some of the sorriest looking tomato plants I've seen, even with shade cloth and an automatic drip system. Many are dead, most are not producing. Lots of people have success with the air-pruning grow bags. 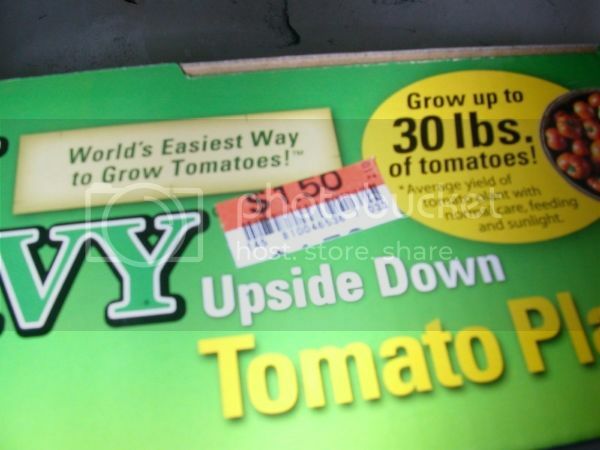 You really can grow right side up in these - just plant the top. Any plant I've tried pside down has insisted on righting itself.